2016 January « CASE CLOSED … what really happened in the 2001 anthrax attacks? WASHINGTON — The Army on Friday issued a scathing critique of the management and oversight of a military laboratory that mistakenly sent live anthrax to facilities around the world, singling out a brigadier general and 11 other people for possible disciplinary action. An investigation into the laboratory, at the Dugway Proving Ground in Utah, found that it often failed to test lab surfaces for contamination by biohazards, and that it employed a biosafety officer who lacked the education or training for the job. Staff members also “regularly manipulated data” about pathogens that were being shipped to outside facilities, including whether they had been rendered inert and were safe to handle without protective gear. The report said that Brig. Gen. William E. King IV, who commanded Dugway from 2009 to 2011 and was a colonel at the time, had been unwilling or unable to take responsibility for the management problems. “This level of complacency and failure to act cannot be tolerated in a zero-defect environment where the health and safety of employees and the public are involved,” it added. Some of the people named for possible disciplinary action could be fired. The names of the 11 people other than General King — who is now commander of the 20th Chemical, Biological, Radiological, Nuclear, Explosives Command — were blacked out in the report. Maj. Gen. Paul A. Ostrowski, who led the investigation, told reporters that a variety of factors had led to the mistaken anthrax shipments. Along with the management problems, he cited gaps in the science behind the use of radiation to render anthrax spores inert without destroying them, which would make them useless to researchers. 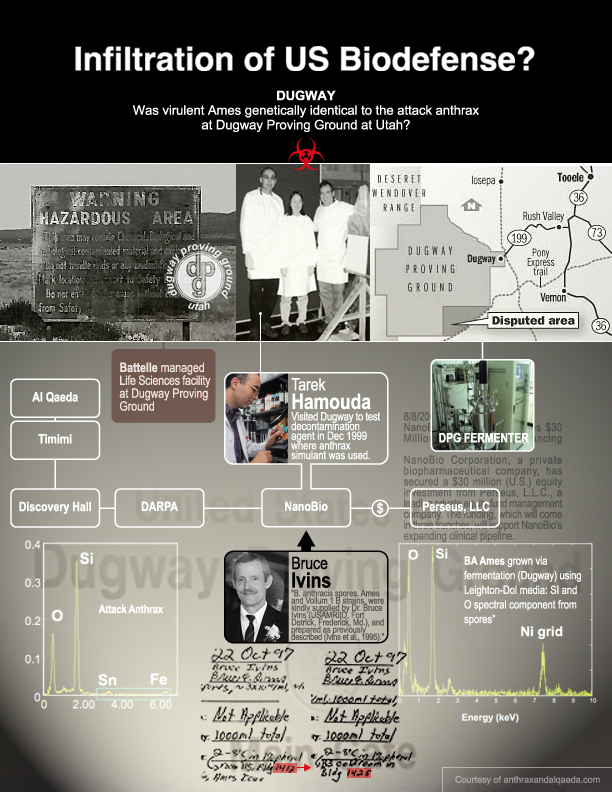 Dugway was the largest producer of samples of inactivated anthrax in the United States before production was suspended last year. The conditions there first came under public scrutiny in May, after a commercial lab in Maryland tested a shipment from Dugway and found live bacteria. The Pentagon said that Dugway shipped live anthrax to 194 other labs, including facilities in all 50 states and nine countries. It has stressed that the spores were sent in low concentrations and posed no threat to lab workers or the public, and that there was no criminal or malicious intent behind the shipments. “Over the years, significant safeguards effectively ensured that the inadvertent shipments were not a threat,” the report released on Friday said. In July, an initial Pentagon review found that the problems at Dugway were largely procedural, related mostly to insufficient testing and irradiation of anthrax samples. Officials emphasized at the time that the errors appeared to be the result of insufficiently robust testing protocols, not failures by any individuals.